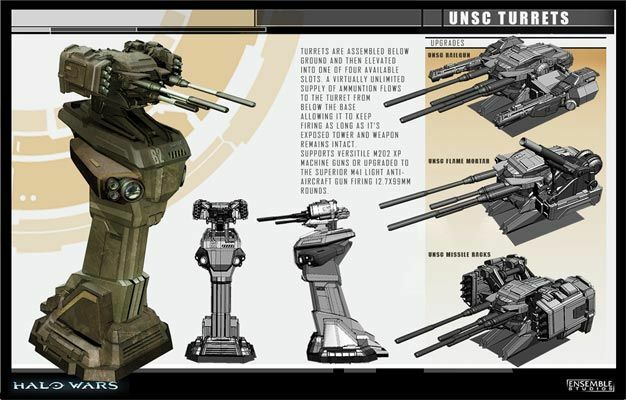 Buildings and units from Halo Wars documented for your viewing pleasure. Ensemble Studios may be on the down and out, but they sure are going out with a bang. Their soon to be released game, Halo Wars, has more than a few people excited. While Ensemble may be closing its doors soon after the game’s release, it doesn’t mean they aren’t going to cater to the fans for as long as they possibly can. Viewable as field manuals, all of the units and buildings in the upcoming 360 RTS game are documented with pictures for fans to get a feel for what they will be playing with. Wether you plan on playing the UNSC forces or if you prefer the Covenant forces, there’s enough information here for both sides of the war. So, sit back, relax, and whet your appetite for the next stage of evolution in the Halo universe.